Twin flame relationships or connections are something that can be far more energetically charged than most realize. They come with some pretty mind-blowing symptoms/signs and can really knock us off of our feet when we are least expecting it. For those who do not know twin flames connections are relationships, we have with our perfect mirrors. We all have twin flames but far too often we confuse them for something else. Your twin and your soulmate will not be the same person, the two are nowhere near the same thing. Relationships with twin flames are for the most part very off and on. They are full of passion and offer a connection that is like nothing you will ever be able to truly explain. These kinds of unions bring forth a lot of power, love, and in many cases pain. While you may come in contact with your twin in many lives, you will not end up together often. You and your twin must be on the same spiritual level before you can truly love one another in the ways that allow you to remain together throughout a lifetime. When you are with your twin you are being reflected back any and all of your own insecurities and fears. While you are being offered the chance to grow and progress, you are also being faced with something you might not be able to handle. You will learn from your twin but the costs may be quite damning. Whether your link is gradual or instant, it can and will be truly powerful either way. Something many people note about their twin connections is the telepathic waves that are unlocked when they come in contact with one another. Twin flame telepathy is something that happens when you’re close to or on the same level as your twin when you find one another. You are able to communicate without words. Any and all interactions become intense and emotional. This is because you’re both using the connection you share with the source to move towards one another even when apart. When we are with our twins we can sense their moods without them giving anything away otherwise. We are connected on a level that no one else will be able to grasp. If you’ve already been in the presence of your twin, you know this to be true. You can feel the things that your twin wants to be sent your way, even when you’re far apart. For instance, if he or she wants you to know that you’re being thought of you may feel as if your hand is being held or suddenly have your twin pop into your mind. Now, when it comes to improving your connection with your twin and making this telepathic link stronger all you have to do is use it. The harder you work at growing together the more in-depth this connection will be. Communicating in this manner will become much easier as time passes. If you’re skeptical about this you should try to keep in mind that even Harvard scientists have managed to prove that telepathy is quite possible. When you and your twin finally find one another you will begin to share more thoughts and feelings than you could have ever imagined. You will be able to have mental conversations and really see into the souls of each other. While it might feel a bit far fetched right now, once you’ve experienced it there is no going back. 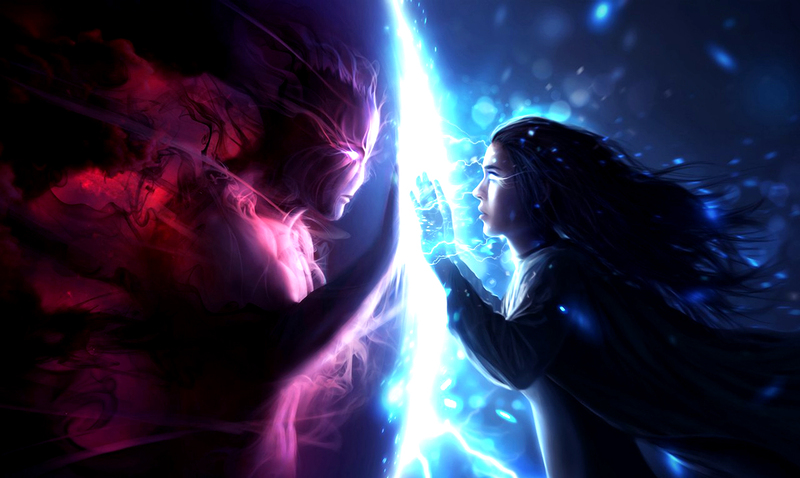 To learn more about twin flame telepathy please feel free to check out the video below.